Much like Ang Lee’s Hulk sequel that was morphed into The Incredible Hulk, the proposed sequel to 2004’s The Punisher began as its own movie and was then transitioned into the film we eventually got, Punisher: War Zone. 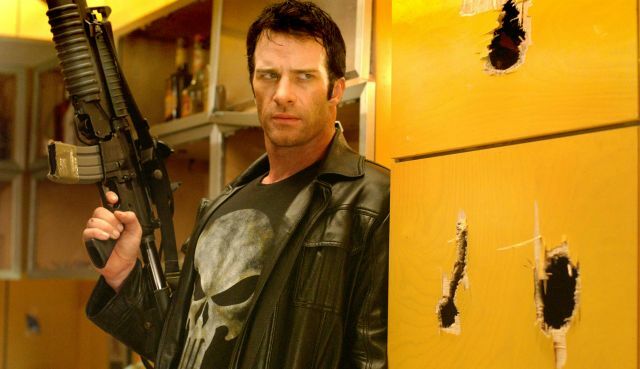 Even before The Punisher was released in April of 2004, development began on the follow-up, which would see Thomas Jane return to the role of Frank Castle. Director Jonathan Hensleigh revealed that he and Jane had made a pact to continue working together after the first film as well. At the premiere, Jane revealed not only had he signed on for the sequel and a third film, but that the villain would be famous Punisher foe, Jigsaw. Even after the first film didn’t open to the box office numbers the studio expected, plans continued on the development of the sequel. Jane confirmed to us that summer that the film might shoot in South Africa or Australia for around the same budget as the first film (~$33 million). Jane also revealed where the second film would begin and predicted the violence in the movie would upset a lot of people. Jane would of course “reprise” the role in the 2012 “bootleg” film Dirty Laundry.